ALS Society of Manitoba was founded in 1980 for persons with ALS/MND, their families, friends and other interested parties. Over the years, the Society has helped clients and their families, by providing information and support. As our organization continues to grow, we are able to offer a more client-service based program which helps those living with ALS/MND maintain independence and make informed decisions about their care. 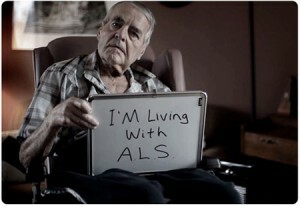 Our mandate is to make a difference in the lives of those living with ALS/MND every day. Improved quality of life for all people affected by ALS/MND. Respectful – We respect the rights of people impacted by ALS/MND to live with dignity and make their own decisions. Responsible & Ethical – We commit to continuous improvement, accountability and sharing of knowledge.